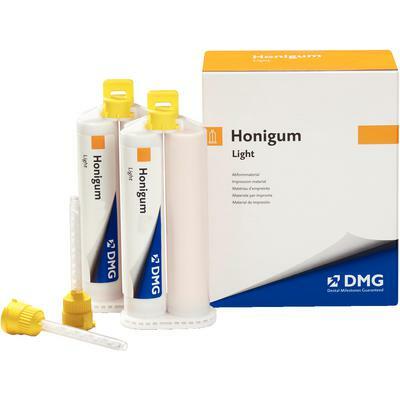 Offer Valid: 4/1/19-6/30/19 Buy 4 Honigum or Honigum Pro Heavy, Mono, Light, Heavy QF, Light QF (MixStar or Automix Cartridges), Get 1 of the same FREE! Get one of the same product free. To receive free goods, please fax your paid Patterson dealer invoice to DMG America at 201-894-0213, or email to freegoods@dmg-america.com indicating type of free good. The most popular type will be shipped unless otherwise noted. Each qualifying purchase must be submitted on one invoice. Promotion cannot be combine with any other offer and may change or be discontinued at any time without notice. All offers must be redeemed within 30 days of purchase. Limit 5 offers per dental office. Promotions not available to dental supply dealers.